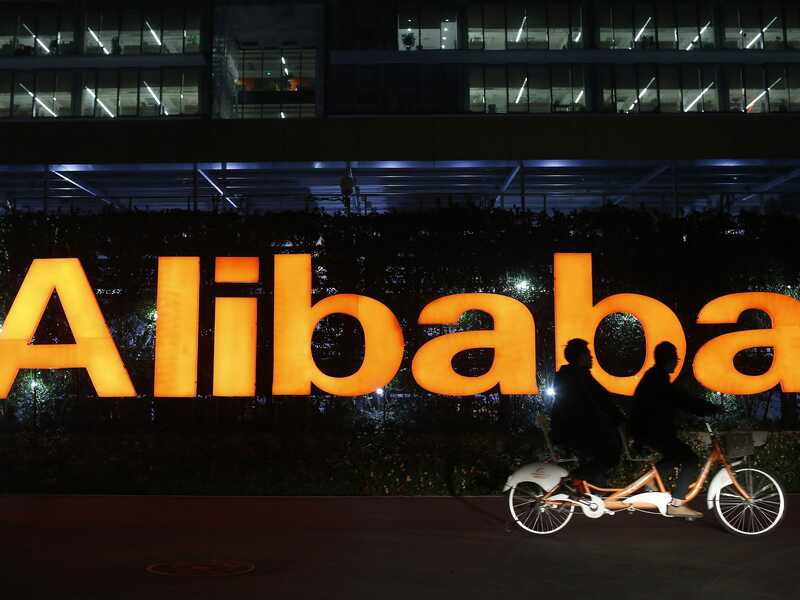 REUTERS/Aly SongPeople ride a double bicycle past a logo of The Alibaba Group at the company’s headquarters on the outskirts of Hangzhou, Zhejiang province. Shanghai (AFP) – Alibaba said $US2 billion of goods were sold in the first hour of its Singles Day shopping bonanza in China Tuesday, maintaining the day’s dominance as the world’s biggest retail event as it went global for the first time. The ecommerce giant said that amount was more than a third of the $US5.8 billion full-day sales recorded on the same day last year. Alibaba has been pushing November 11 as Singles Day — so named for the number of ones in the date – since 2009 as it looks to tap an expanding army of Internet shoppers in China, which has the world’s biggest online population. Singles Day already surpassed major shopping festivals in the US in terms of transaction value last year, toppling the combined online sales of $US3.7 billion recorded on Thanksgiving Day, Black Friday and Cyber Monday, according to an estimate by Internet analytics firm comScore. The day was originally marketed as an “anti-Valentine’s Day” in China featuring hefty discounts to lure the country’s singletons and price-sensitive buyers. It has been expanded globally this year to include overseas merchants and customers. Within the first hour and 12 seconds, more than 12.23 billion yuan ($US2 billion) of deals were settled on both domestic and international retail marketplaces, Alibaba said in a statement, adding that 45.7 per cent of the transactions were made via mobile devices. Headquartered in the eastern city of Hangzhou, Alibaba debuted its shares in New York two months ago with a record-breaking $US25 billion initial public offering. The giant operates China’s most popular online shopping platform, Taobao, which is estimated to hold more than 90 per cent of the online market for consumer-to-consumer transactions. The company does not sell products directly but acts as an electronic middleman. It also owns other marketplaces, including business-to-consumer platform Tmall. More than 27,000 brands and merchants are participating in this year’s Singles Day, while consumers in more than 220 countries and regions will be able to join the 24-hour spending spree, the statement said. Some 500 million packages are expected to be shipped during this year’s festival, up 50 per cent from a year earlier, the state postal service told state media last month. But some Internet users were less impressed, accusing some merchants of fooling consumers by raising prices beforehand. “I don’t know why people are so excited about the ‘Double 11’ (November 11). It’s meaningless as they all hike prices before offering a discount,” one wrote on China’s Twitter-like blogging service Sina Weibo. Alibaba said last week its third-quarter net profit jumped 15 per cent year-on-year to $US1.1 billion, its first earnings report since successfully completing the world’s biggest stock offering in September. Revenue soared by 53.7 per cent from the same quarter last year to $US2.7 billion, it said.